Well, not really. But as many of you know, this is "so long" to blogging at WBEZ. It&apos;s been fun. Thanks to Justin Kaufmann for hiring me. And thanks to all the wonderful people at WBEZ who&apos;ve helped me. There are too many to mention here, but I&apos;d like to single out Robin Amer and Tricia Bobeda, who were successively responsible for getting my stuff posted. Most important, thanks to all of you who&apos;ve read the blog, with a special thanks to those who&apos;ve taken the trouble to post a comment. Anyone who&apos;s been a teacher — as I was for 38 years — knows the importance of getting feedback. I&apos;ve been asked if I&apos;m going to continue the blog. Yes — and no. I recently signed a book contract. Yesterday I filmed a segment for Travel Channel, and I have a few other projects going to keep me busy for a while. But I already have a post (on Capone) up on my resurrected site, and will try to put up new posts at least once a week. 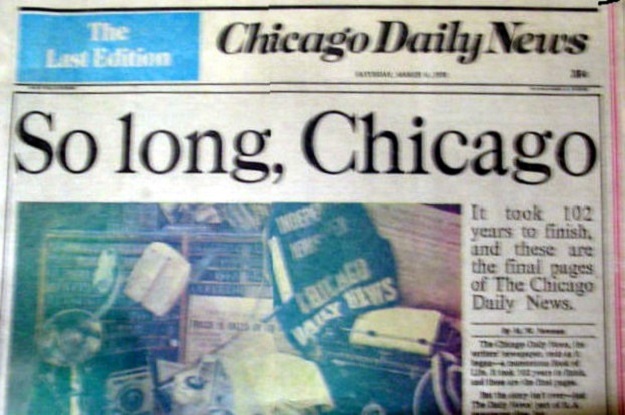 The site is called Chicago History Today. To include at least a bit of historical content in today&apos;s post, I&apos;m running this 1942 picture. 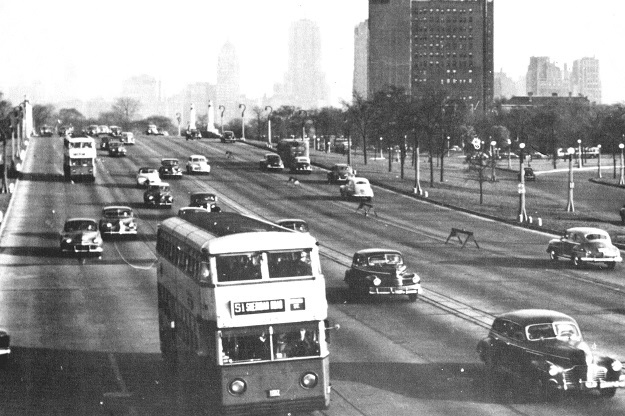 I was going to use it in an article about Lake Shore Drive&apos;s reversible lanes that I never got around to writing. Notice that the only thing separating the traffic lanes here are a series of wooden horses. Drivers must have been a lot more cautious 70 years ago. (2) Never play golf in a thunderstorm.